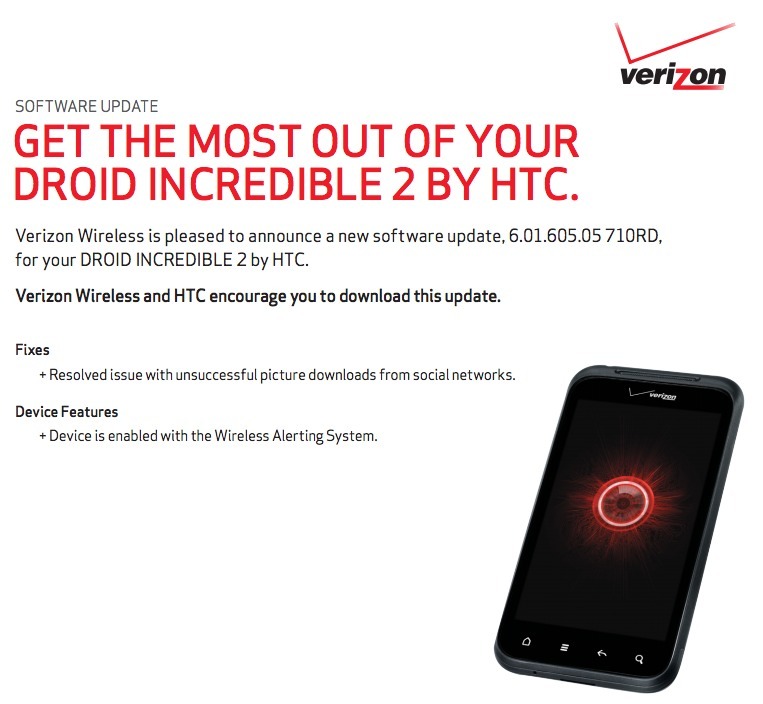 An update for the DROID Incredible 2 has been approved as build 6.01.605.05 710RD. It’s about as minor as it gets and is definitely not Ice Cream Sandwich. It takes care of a picture downloading issue through social networks and enables the wireless alerting system. See, very minor. It’s a whoppin’ 32MB in size. More info.